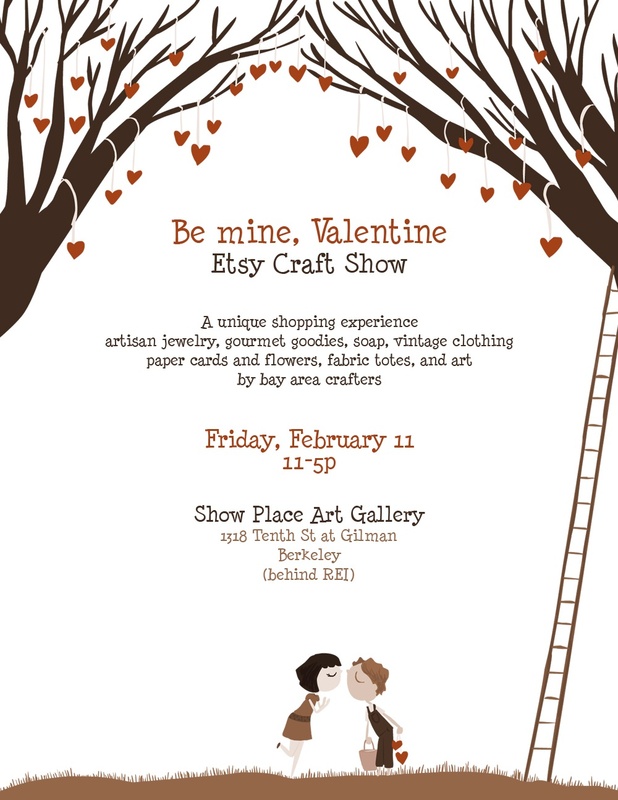 SF Bay Area Etsy Street Team: Be Mine, Valentine Etsy Craft Show!! Be Mine, Valentine Etsy Craft Show!! 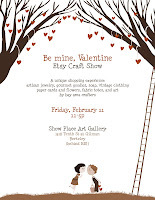 A few of our San Francisco local Etsy artists are getting together for a Valentine's Day show on Friday February 11th and we would love to see you there! You can expect to see jewelry, soap, paper crafts, vintage, and many more amazing things. Please share the LOVE and tell everyone about this event! Tweet it, Facebook it, post it on your blog!! This looks like a wonderful show, but I'm just wondering why it is in the middle of the day on a Friday, when many people will be at work and not have an opportunity to attend. I would have loved to attend if I could, but work a "9-5". Hopefully future events will go later into the evening or also be on a weekend.